We currently deliver within Singapore only. For international orders, please email for enquiry here. 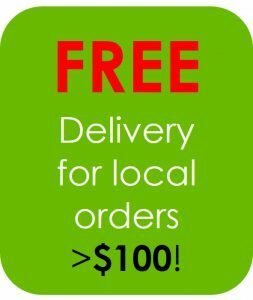 Free Delivery for purchases above $100 within Singapore only. Your order will be processed within 1-3 days after payment made. For Self-Collection at our store, our customer support team will liaise with you on the timing to collect from our showroom. NOTE: Goods sold are not subject to return, refund nor exchange. 2. Bank Transfer to account: DBS Current 008-903007-8 (iTrade Healthcare Pte Ltd). For export orders, prices are subjected to changes due to fluctuating currency exchange rates. All orders are subject to stock availability, confirmations of order and payment done in order.